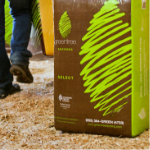 Greentree bedding is American made, 100% pine & customized to meet a wide range of needs and preferences among horse & livestock owners. Each bag is crafted at the highest level of quality, the best for its desired application. 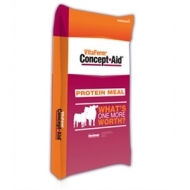 A combination of Concept•Aid® breeding mineral and 20% natural protein in a meal for beef cattle. Specifically designed for reproductive success when fed 60 days pre-calving through 60 days post-breeding. Especially beneficial in A.I. and E.T. breeding programs. 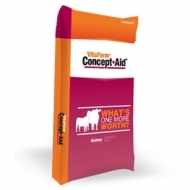 Includes natural protein for when forage quality is low. Heritage Horse Mineral is designed to be self-fed to all classes of equines. Equines should consume 2 to 4 oz per head per day. Do not feed additional salt or other mineral sources. Place mineral in covered feeders and provide fresh, clean water at all times. Heritage Race Horse (14-10) textured is formulated for yearlings, mares, stallions, mature pleasure and performance (moderate & intense activity) horses. Heritage 14% High Fat Textured is formulated to be fed to mares, stallions, yearlings, mature pleasure (light activity) and performance (moderate activity & intense) horses. Heritage 14% High Fat Textured contains a blend of natural grains and molasses which provides a calorie dense, palatable diet. Natural source of vitamin E, organic trace minerals and probiotics to support proper physiological functions and improves the immune system. 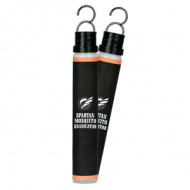 Enhanced with amino acids for improved muscle development and performance. A blend of soybean oil, rice bran and flaxseed provides an optimal fat profile. Heritage 12% Textured is formulated to be fed to mares, stallions, mature pleasure (light activity) and performance (moderate & intense activity) horses. Heritage 12% Textured contains added organic zinc, copper, manganese and cobalt to develop strong bones, Biotin, for hoof health and growth. Vitamin E, to help reduce muscle stiffness and improve endurance. Plus selenium, to help support your horse’s immune system. Heritage 14% Textured is formulated to be fed to mares, stallions, yearlings, mature pleasure (light activity) and performance (moderate activity & intense) horses. Heritage 14% Textured contains added organic zinc, copper, manganese and cobalt to develop strong bones, Biotin, for hoof health and growth. Vitamin E, to help reduce muscle stiffness and improve endurance. Plus lysine, and methionine an essential amino acid which improves protein utilization for growth and development. 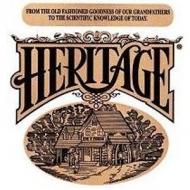 Heritage 16% Textured is formulated to be fed to foals, mares, weanlings, yearlings and performance horses. Heritage 16% Textured contains added organic zinc, copper, manganese and cobalt to develop strong bones, Biotin, for hoof health and growth. Vitamin E, to help reduce muscle stiffness and improve endurance. Plus Lysine and methionine an essential amino acid which improves protein utilization for growth and development. A blend of high quality pellets textured with soybean oil instead of molasses, which is higher is sugars to provide a more dense calorie intake with less non-structual carbohydrates for horses that may be more sensitive to carbohydrates and sugars. Heritage Active 12% is formulated to be fed to mares, stallions, mature pleasure (light activity) and performance (moderate & intense activity) horses to maintain desired body condition. Heritage Active 12% contains added organic zinc, copper, manganese and cobalt to develop strong bones, Biotin, for hoof health and growth. Vitamin E, to help reduce muscle stiffness and improve endurance. Plus selenium, to help support your horse’s immune system. Heritage L/S Horse is to be fed to mares, stallions, mature pleasure (light activity) and performance horses to maintain desired body condition. Heritage L/S Horse feed is designed with the goal of providing a safe feed with low starch levels for special needs horses. This has been accomplished by utilizing highly digestible fibers as the main ingredient source and without the use of any grains or molasses. Heritage Professional Horse is formulated to be fed to mares, stallions, yearlings, mature pleasure (light activity) and performance (moderate activity & intense) horses. Heritage Performance 14% is formulated to be fed to mares, stallions, yearlings, mature pleasure (light activity) and performance (moderate activity & intense) horses. Heritage Mare & Foal 16% is formulated to be fed to foals, weanlings, yearlings, mares, stallions, mature pleasure (light activity) and performance (moderate & intense activity) horses. Complete feed for starting and growing replacement chickens. 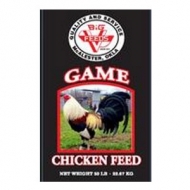 For the development of active immunity to coccidiosis and for increased rate of weight gain and improved feed efficiency in replacement chickens. 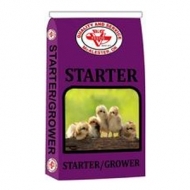 A supplement to scratch grain, or complete feed for laying chickens from the onset of egg production and throughout egg production cycle. Feed free-choice as the sole ration to free-range and confined laying chickens after 18 weeks of age and throughout the laying cycle. 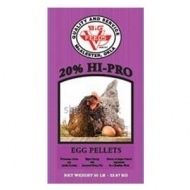 A complete grain/pellet mix for mature laying and show poultry. Ruminant meat and bone meal free. Adjust amount of feed for the desired condition of the bird. Keep plenty of clean fresh water available at all times. Keep pens clean. 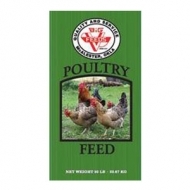 A wholesome blend of quality grains that provide home flock birds a safe and healthy taste of goodness. Encourages natural pecking and scratching instincts. A variety of grains that will appease all birds. For mature birds not in production. Ruminant meat and bone meal free. Adjust amount of feed for the desired condition of the bird. Keep plenty of clean fresh water available at all times. Keep pens clean.